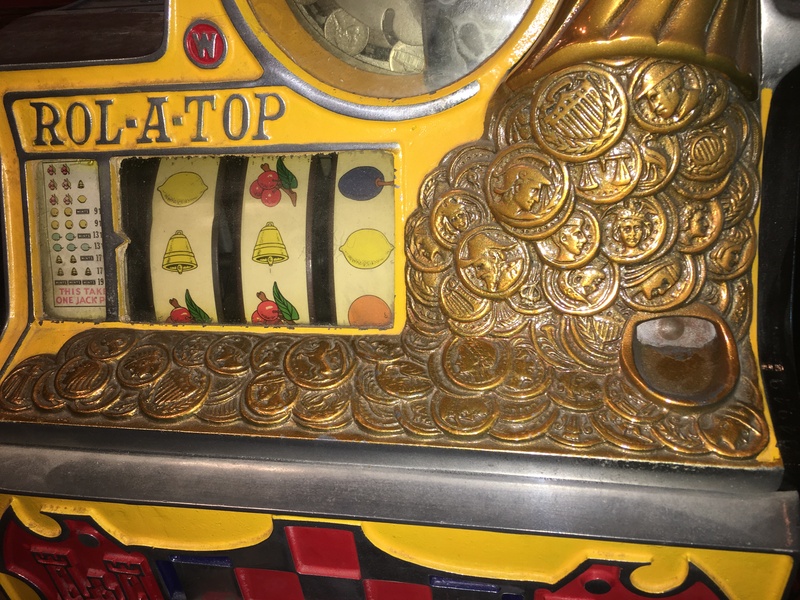 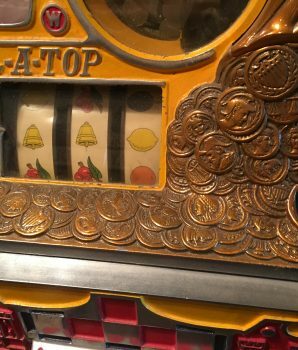 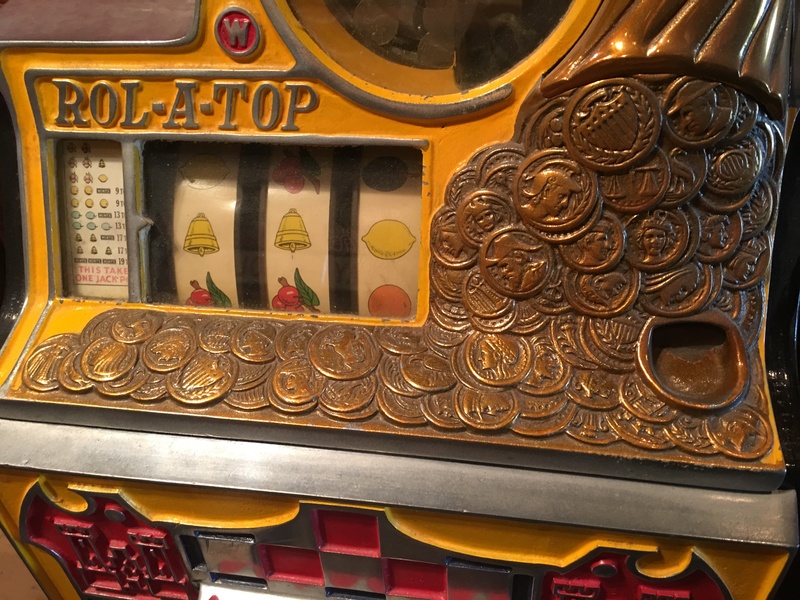 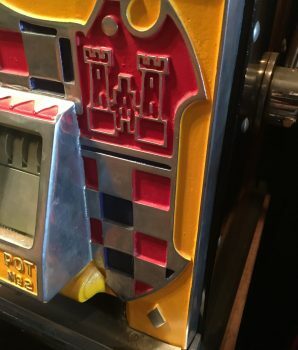 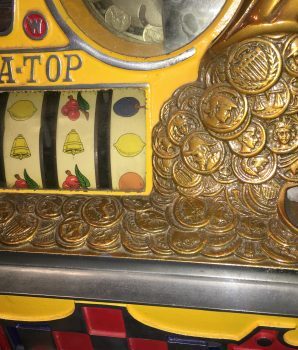 Antique Watling Rol-A-Top Coin Front with twin jackpot and castle checkboard coin front 5c Slot Machine. 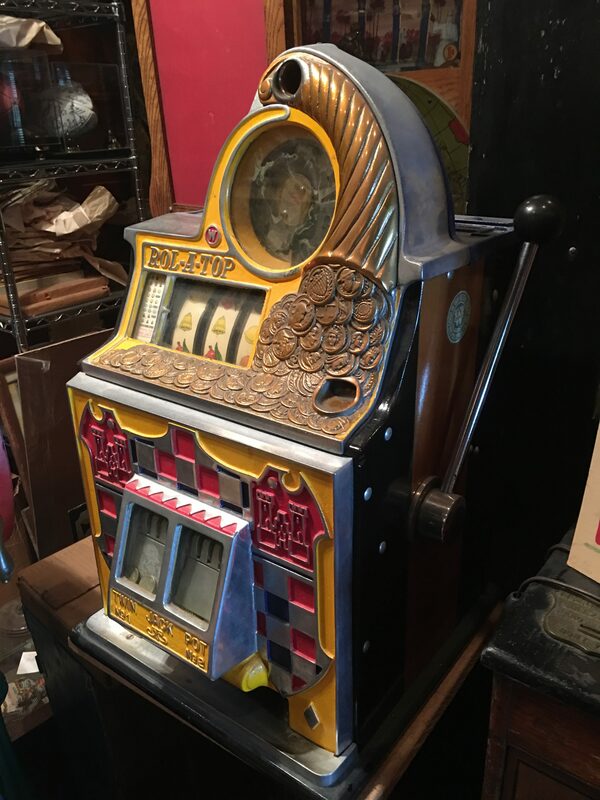 This machine is in excellent working order and beautifully restored. 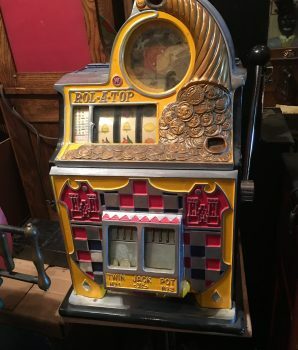 If you like to play games then don’t pass this one up. 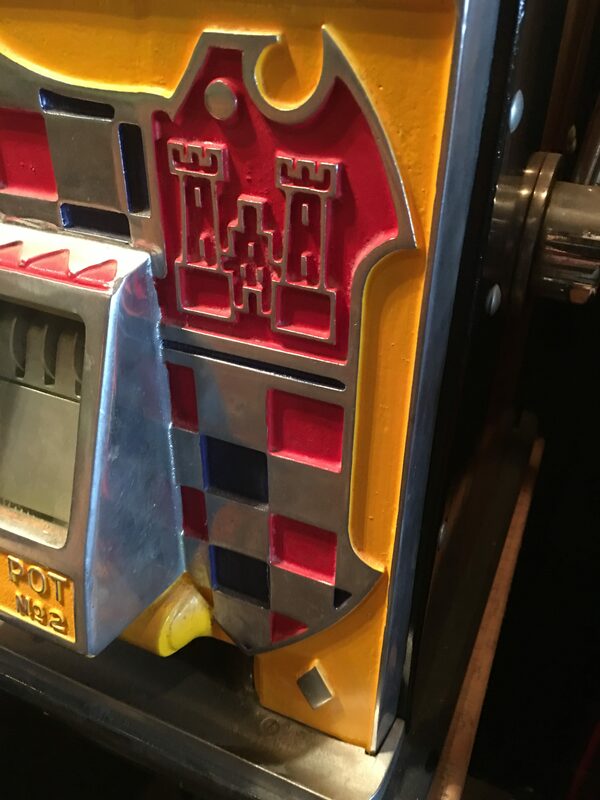 Checkerboard slot machine in this condition are rare and hard to come by. 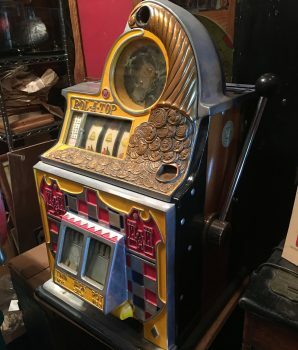 $4695 plus $195 shipping. 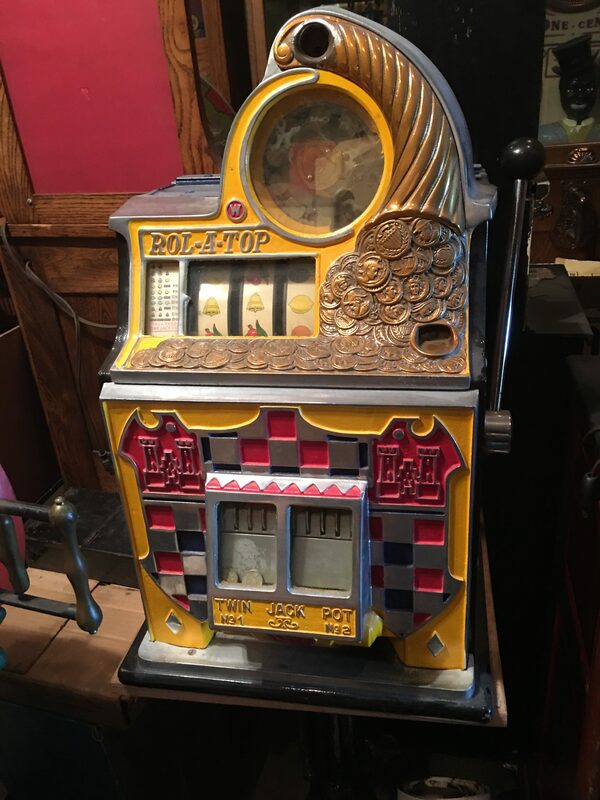 Consult our Slot Laws to determine whether we may ship this antique slot machine to your jurisdiction.